How do we talk in a disagreement? Have you ever analysed how two people talk in a disagreement? Other than raising voice pitch, acceleration pulse, we had been repeating the point that we were holding against the other person. With the advance of technology we can now flip through old records, when we are calm, and look back what words or sentences we had used when we were mad. Provided if we had an disagreement documented in words, not speech. 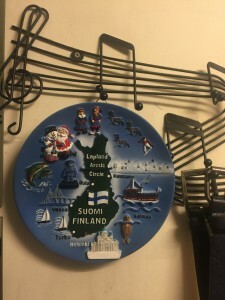 Last month I received a decorative gift, it is a plate to hang on wall. Due to many reasons, here we dont buy or keep anything to decorate the house, therefore it will be classified as ‘useless’ or ‘rubbish’ to the local. I like it very much but I can’t use it. As usual, All I could do is to wrap it back to the original packing as to protect the porcelain and keep the whole box in my little tiny secret drawer. This morning I saw the plate is hung on the belt hanger on the corridor. The hanger couldn’t sustain the weight of the porcelain, not only it could be broken, the wall could be torn or scratch too. I had a conversation in whatsapp with him. At first I wanted to make sure he didnt really throw away the double packing, one is the mail box in square, the other is a plastic box cover the porcelain in the round shape and it is transparent. It came all the way from Finland and I even kept the newspaper used for wrapping. At least I know how much it costs for a bag of apple in Finland. When I know nothing is left, he did it once again to go through my things without my permission, it gets on nerve that I dont belong here, and Im not welcome here. After living with someone for almost twenty years I still dont believe Im welcomed in this home – Im not entirely sure it is his or my problem. Too easily tested, seriously insecure. There it goes I brought up the idea that I would be leaving this home forever and he can have everything to himself, alone. I know Im overreacting but I have my reasons behind. He couldn’t understand a thing Im saying, he kept saying how are things supposed to be, what we should or should not do,… I simply ignore everything he said, just like he has ignored all of my complains about I need to keep a small drawer of my own, I need to be treated like a person, not an accessory. I feel like Im such a failure, I can’t own a small place of my own, am I even human? n don't want to open to use? I kept it in my place. Are there many Finland box? Where is the transparent box. before you hang the thing? Why did you throw that transparent box? Can you go to hell ? Everything at your home is yours ? Why don't you throw me ? Can you kill me pls ? my stuff before you fix the carbinet ? Is throwing really necessary ? Did I tell u those are Rubbish ? Are you even human ? Can u throw your gundam? my stuff - you happy?feel better ? It's My Things - get it? Needless to say, he has a complete different sets of sentences/words used in this dialogue. That’s the point of this post. I know it’s nasty to talk about killing due to an empty box. That’s why I’m so mad today. But these are the “topic” often come into our “discussion” in recent years. It’s sometimes sad how some arguments can escalate and something that was maybe not such a big thing could precipitate a huge argument. I know I have had this happen many times with my mom. We could end up in a huge fight and maybe it was the smallest thing that started it. But I also think, if things are so delicate that something small could start it like that, then there was probably a lot of tension and frustration just under the surface already, and so the small thing wasn’t really why the fight happened, it just was the final bit that caused the eruption of anger to begin. I can relate a lot to that. Have you ever gone Three Floors Down within yourself?